As parents, we naturally want to support our children. ​The USAFA Louisiana Parents' Club is here to support your cadet. Our club is here to disseminate direct information from the Academy, assist in answering questions, provide support through tough times, and celebrate the good times. You have a whole network of fellow parents to turn to! 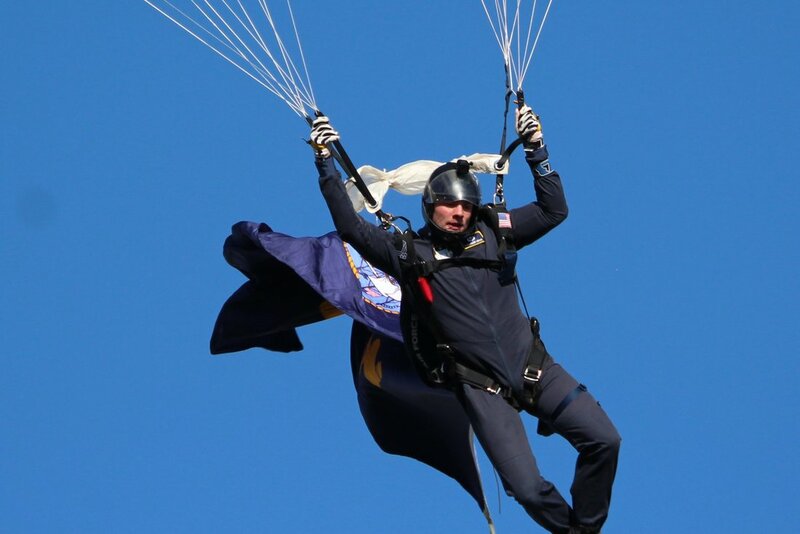 Wings of Blue parachuting into an Air Force versus Louisiana State University baseball game, Feb. 2017.